Set in a secure gated environment, Casa Verde benefits from beautifully maintained gardens and an exceptional pool (and childrens paddling pool). 1 bedroom featuring a king size bed, newly decorated throughout and offers all the luxuries you deserve when on holiday. A 3 minute walk to Playa Bastian beach and surrounded by all the local amenities you could possibly need such as ATMs, Restaurants, Supermarkets. Extensive TV package with huge range of English/Irish/European channels, free access to film club, sports channels and a good private WiFi connection. Ground floor access, not a single step to negotiate from the entrance, through to the balcony and even all along the 200 yard walk to the beach. Everything available and great position next to the pool. Definitely recommend. Myself and my partner stayed for 10 nights, it was the perfect apartment and location for our holiday. Apartment was very spacious, modern and with great facilities. Being on the ground floor meant it was easy access to the pool being only a few metres away. Pool area was calm and quiet with sun loungers always available. Local supermarket was just across the street with a selection of bars and cafes 2 min walk away. 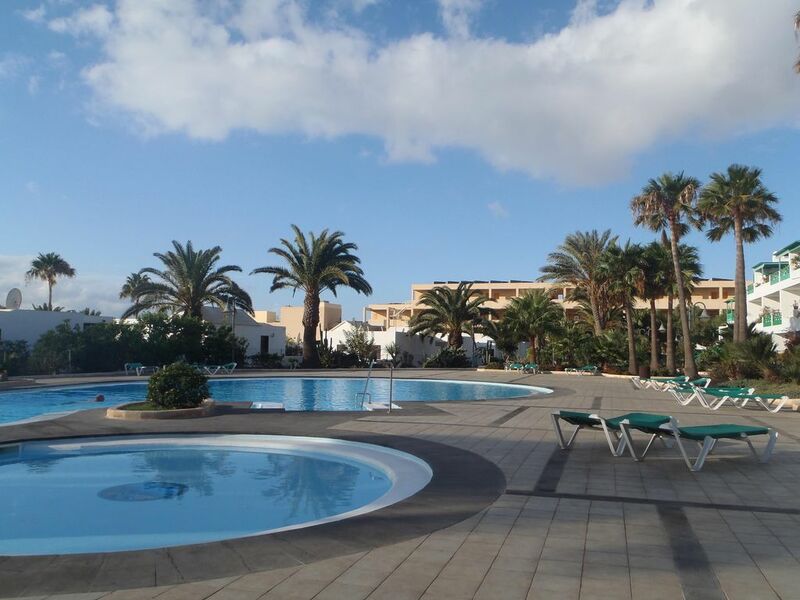 Beach just a 5 minute walk away and main town (Costa Teguise) 10-15 min walk away. We would happily stay here again, the apartment was just what we were looking for. Thank you Paul and family for a great stay and for all of your help and support leading up to our holiday. Lovely apartment in a good location, handy for good local restaurants and only 10-15 stroll into the main square in Costa Teguise. Both main pools were great and very quiet so we always got a sunbed. We would recommend this one bedroom apartment. Thank you Paul for a lovely stay. Very comfortable apartment. Everything you need for a good holiday. Great shower and kitchen facilities . Comfortable bed and very spacious . One small suggestion for the bedroom is that a blind on the window would be good to prevent outside light shining into the room. Would definitely book this apartment again if going to Costa Tequise . The location if great if you want to use local buses or taxi and a good supermarket over the road. This apartment was perfect in evey way for our holiday needs and in a great location. We had an eleven day stay at this apartment, and wanted for nothing thanks to the owner 'Pauls' efforts to equip, furnish, and maintain it to a high standard as it is also his own holiday home. The location is perfect with a close local beach, on site pools and pool bar/ restaurant. The whole site is very well maintained. Most importantly, Paul, the owner is supportive in every way, and dealt with all our communications promptly, comprehensively, and in a personal and friendly manner. We loved our stay there and wouldn't hesitate to recommend it to friends or check its availability as a first choice in the future.